Home / Comics / Movies / Can DVD Save Dredd 2? Can DVD Save Dredd 2? 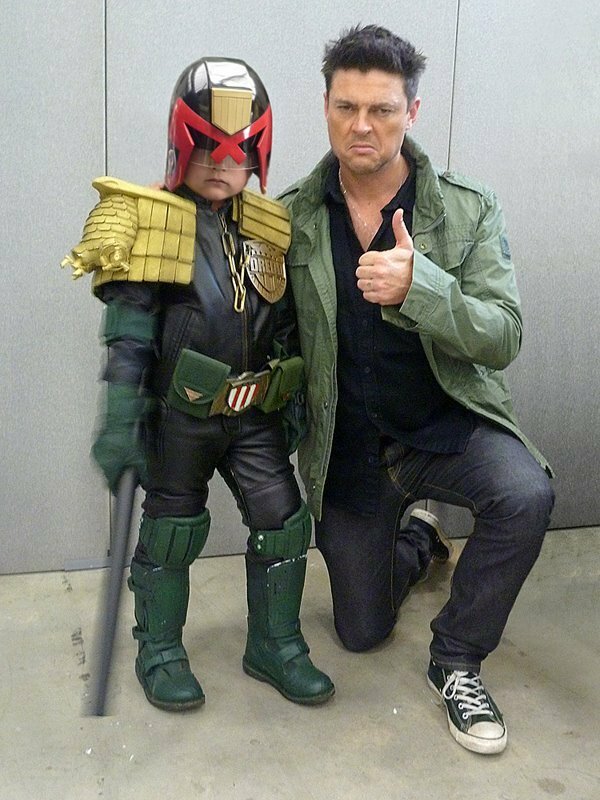 I loved Dredd. Considering that the comic it is based on is (or was originally) a satire, I thought it came at the subject with the right amount of seriousness, while not taking itself as seriously as Nolan's Dark Knight Rises. It struck the right tone, and balanced that with a simple, economic storyline that allowed the characters, not the plot, to drive the narrative. It was also a hell of a lot of fun, and should be used as a benchmark for others that follow in the "I want to make dark comic movies" trend (with Avengers happily occupying the counter argument). But it did not make a lot of money. Or, any, really. The North American take was less then $14 million, with Britain (Dredd's country of origin) making up most of the rest of the eventual $32 million box office. Despite star Karl Urban's enthusiasm for the project, and plans for a sequel and a third, all parties agreed that $50 million in the US was the magic number to get a sequel done. It obviously fell short of that. DREDD claimed the number one spot on the DVD sell-through and Blu-ray charts with 650,000 units sold, making it the best-selling new release title of the year. Blu-ray units accounted for nearly 50% of week 1 POS at retail. In addition, the critically acclaimed thriller, starring Karl Urban (Star Trek) as the titular character Judge Dredd , was the top film download for the week, outpacing all other titles in digital sales as well. Now, there are no dollar signs in there, and it is early days yet. But as Firefly and Futurama can attest, having strong DVD sales can extend your cinematic life longer then expected. A lot of Dredd's box office problems had to do with poor promotion (US), and lack of theatres playing it (in the UK, almost no showings were offered in 2D). Home viewing increases chances of people watching, especially considering the fantastic word of mouth the film had, and a desire to see it from those that just couldn't find it at their local back in September. And, right now, it has no major competition in the market. Might the DVD number be enough to get Dredd back on the screen? Even a scaled down, direct to market feature wouldn't be objectionable so long as Urban returned as Dredd. Surely he could take a bit of that juicy Star Trek money and push it the Judge's way, eh? Taking the Firefly analogy further, a Dredd TV series could be the way to go. Here's hoping.